September 10, 2018 6:25 pm. Happy Clapper will have to carry 59.5kg if he is to defend his Epsom Handicap title. 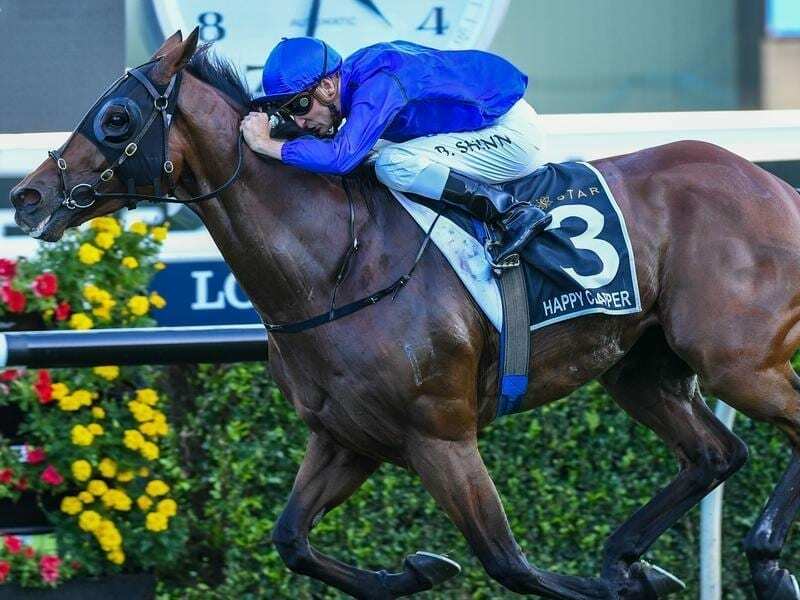 Happy Clapper will have to carry an extra 2-1/2 kilograms in his defence of the Epsom Handicap with the eight-year-old topweight with 59.5kg for the Group One race. Since he won the 2017 Epsom (1600m) with 57kg, the Pat Webster-trained gelding has added the Group One Canterbury Stakes and Group One Doncaster Mile, in which he also carried 57kg, to his record. Humidor has been given 59kg while triple Group One winner Le Romain has 58kg in the race on September 29. The Darren Weir-trained Humidor is scheduled to defend the Makybe Diva Stakes (1600m) at Flemington on Saturday with Happy Clapper among his rivals. Le Romain is headed to the George Main Stakes (1600m) and an assignment against Winx on the same day. The Chris Waller-trained D’Argento, who will carry 53.5kg, is the TAB’s $4.60 favourite for the Epsom ahead of stablemates Comin’ Through (56.5kg) and Unforgotten (54.5kg) who are at $8 with Godolphin’s Kementari (55.5kg). Happy Clapper is at $11 alongside Pierata (54kg). Australian Cup winner Harlem has top weight of 58kg for the Metropolitan Handicap, also on September 29, with Ambitious, Auvray and Mr Moonlight Magic all on 57kg.